What if you woke up today to an alert on your phone that you could no longer go to your favorite restaurant, book a hotel room, travel, or even worse you no longer have a job? What would you do better yet what could you do? Not only were you let go from your job but you can’t get another one because your social credit score took a hit after you posted something was not true on social media so you’ve been deemed dishonest or you cheated on your spouse. Sounds like that episode “Nosedive” from Netflix Black Mirror but in China this is real life and it could be coming to the United States in some form. Basically, you will be punished or rewarded based on your behavior. 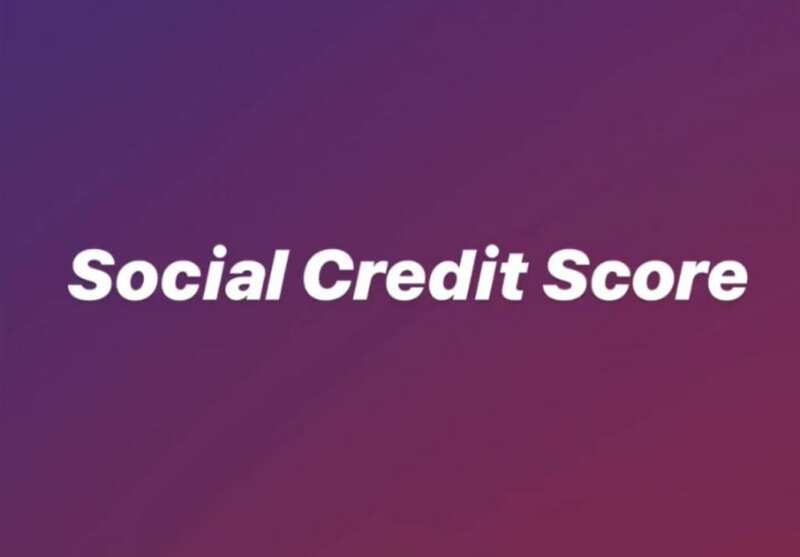 Your personal score will function like a regular credit score it will go up if you exhibit good behavior which will allow you to travel first class, not have to put down payments on items, book luxury hotel rooms, etc. Now, if you do things like smoke in facilities that are non-smoking, or you post fake news, are a criminal even white collar crimes you would be banned from traveling, won’t be able to book hotels, and you or if you have kids they could be banned and prevented from getting into schools. If you post lies or fake news online then they ban you or throttle you from the internet. Crazy right? Well for China citizens it’s a reality and one that may even be on it’s way to America. As a matter of fact some of the technology is already here like your smartphone, facial recognition, and companies that collect your data from apps and the technology you use. To get an idea of how the system works watch Black Mirror Season 3 Episode 1 “Nosedive” on Netflix. China will rank everyone in their country by 2020 via the social credit score. If you don’t believe this is really happening read this article in Business Insider. A couple of tips just in case live a transparent life and do the right thing always.